Judyth Vary Baker, whose book, Me & Lee, documents her intimate relationship with Lee Harvey Oswald while they both lived and worked in New Orleans on a cancer research project, will make a public appearance in New Orleans to mark the birthday of her lover and explain why she believes Lee Harvey Oswald was not the lone gunman who killed President John F. Kennedy. And to answer questions and speak about her new book on her friend Dave Ferrie: David Ferrie: Mafia Pilot, Participant in Anti-Castro Bioweapon Plot, Friend of Lee Harvey Oswald and Key to the JFK Assassination. 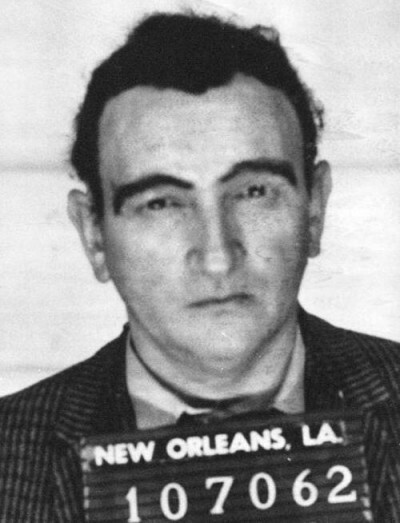 Of the all the people surrounding the assassination of President Kennedy, few are more mysterious and enigmatic than David William Ferrie of New Orleans. Author Judyth Vary Baker knew David Ferrie personally and worked with him in a covert project in New Orleans during the summer of 1963, and this book examines his strange and puzzling behavior both before and after the assassination. At the time of the assassination, Ferrie was a 45-year-old New Orleans resident who was acquainted with some of the most notorious names linked to the assassination: Lee Oswald, Clay Shaw, Guy Banister, Jack Ruby, and Carlos Marcello. He possessed assorted talents and eccentricities: he was at one time a senior pilot with Eastern Airlines until he was fired for homosexual activity on the job; he was also a hypnotist; a serious researcher of the origins of cancer; an amateur psychologist; and a victim of a strange disease, alopecia, which made all of his body void of hair. His odd lifestyle was embellished with an equally bizarre appearance featuring a red toupee and false eyebrows. This is the first book focused solely on David Ferrie and his alleged involvement in the conspiracy to assassinate President John F. Kennedy. Ms. Baker, a girlfriend and lover of Lee Harvey Oswald in New Orleans during the summer of 1963, has been living in exile in Europe for almost a decade after receiving death threats and surviving several accidents since going public with her story. Her book has been out for three years and has garnered a strong following in the JFK research community, according to Publisher Kris Millegan. Lee Harvey Oswald is the central figure Ms. Baker’s tale about an enthralling Cold War spy saga. The story documents how a 23-year-old Oswald was involved in an underground medical laboratory overseen by local Doctor Mary Sherman and employing a 20-year-old Judy to create a bio-weapon that could infect and kill humans with cancer. The injection, which was tested on an Angola prisoner, was successfully developed and to be smuggled into Cuba for use on Dictator Fidel Castro. According to Ms. Baker, Oswald’s mission to get the bio-weapon to Cuba through Mexico City failed and he then headed to Dallas.